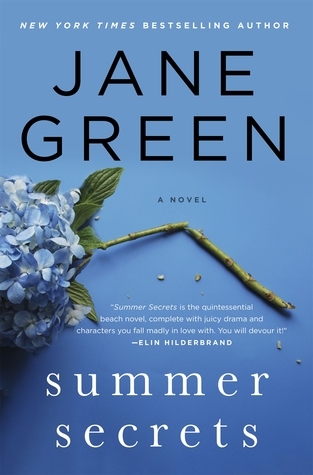 Today I'm featuring my current read, Summer Secrets by Jane Green, which I borrowed from the library . . .
Lord knows, most of the time, when I'm facing an evening on my own, I am absolutely fine. If anything, I relish that alone time, when my daughter is with her father; the luxury of eating whatever I want to eat, the relief at not having to provide a nutritious meal for a thirteen-year-old picky eater. Jane Green's newest novel is set in London and Nantucket--perfect locations for armchair traveling. First Chapter ~ First Paragraph #117 was originally published by Catherine for bookclublibrarian.com. This post cannot be republished without attribution. Retweeting and sharing on Google+ encouraged.